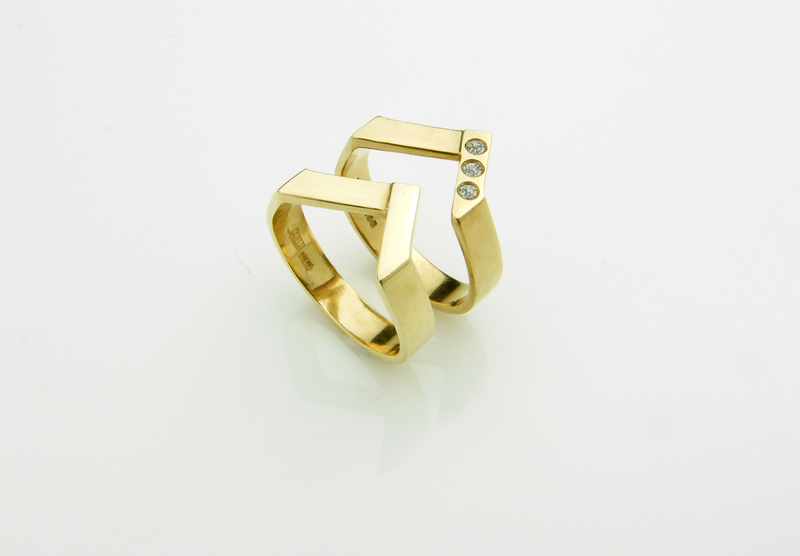 A bold geometric angular ring, with a nod to Art Deco forms. 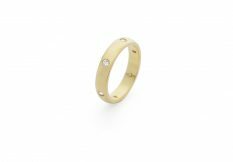 Flush set with a line of three brilliant-cut diamonds which contrast with the linear form of the band. 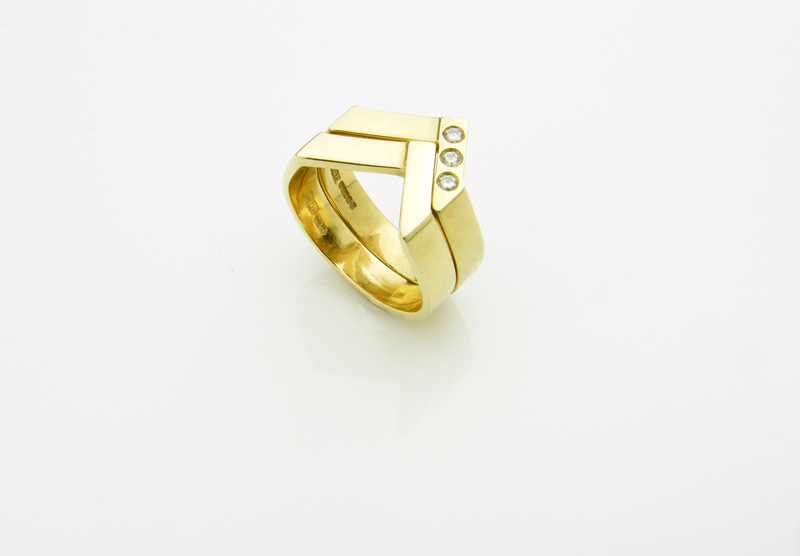 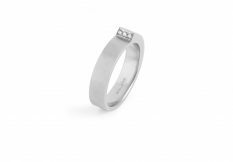 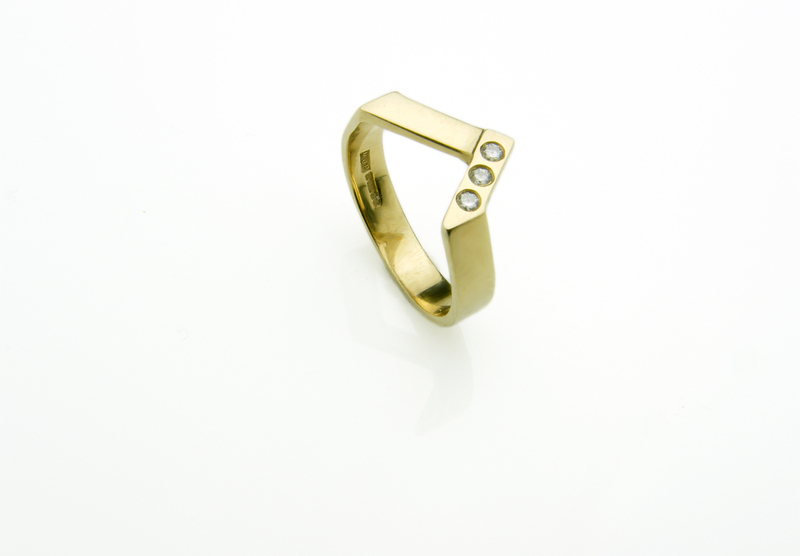 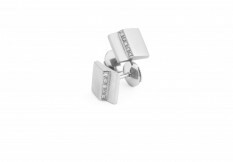 Creates an excellent pair with the Triple Plain Ring as illustrated on this page.. 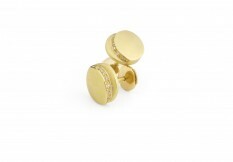 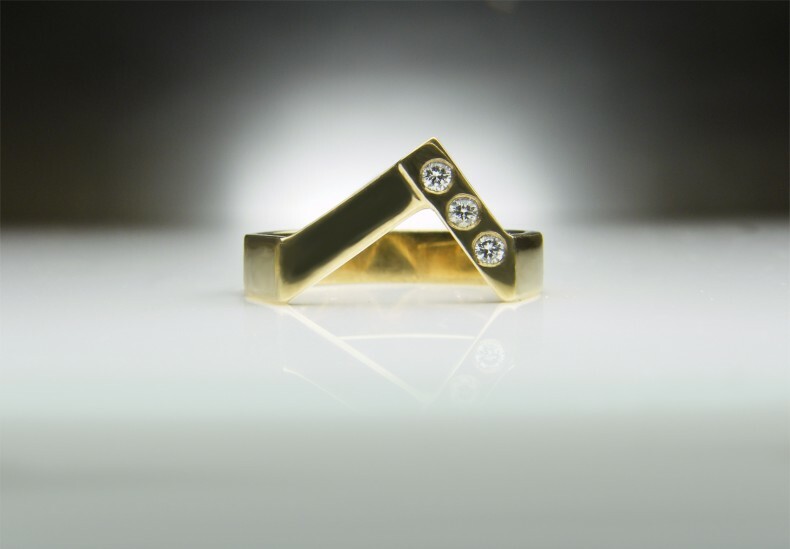 Shown here: 9ct yellow gold and diamond.